We are one of the leading manufacturer, supplier and exporter of Brass Deer Head Wall Hangings based on Aligarh, Uttar Pradesh, India. We supply a very superior quality Brass Deer Head Wall Hangings that are designed by our expert designers and artisans. Our product display very alluring and uncommon designs which will impress our customers. 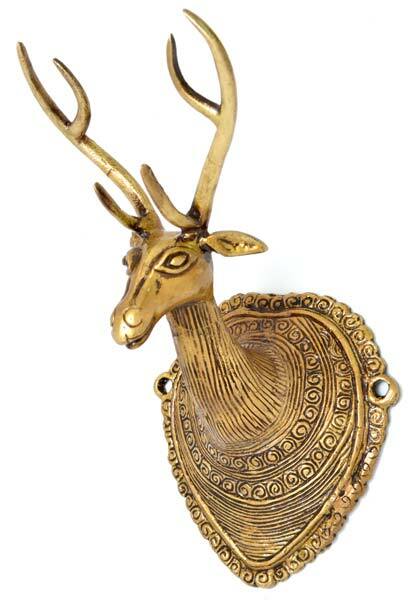 The Brass Deer Head Wall Hangings are designed keeping an eye the recent style and fashion with a perfect finishing. The specifications and requirements of our clients are given prior importance while packaging and shipment.